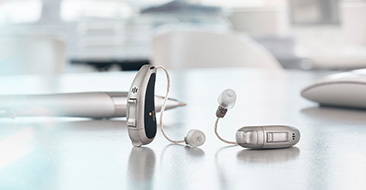 The Rechargeable System offers continuous, stable, uninterrupted power, providing confidence that hearing aids will never run out of energy in an average day. A pair of ZPower micro batteries can take the place of an estimated 200 disposable batteries per year. The batteries are replaced once per year by us, so you never have to touch a hearing aid battery again.